Goddard, Massey and Warner of Nottingham – disposal of sewage and town refuse in HK 1880s? A tenuous, but intriguing, connection to Hong Kong’s disposal of sewage and refuse in around the 1880s. Can anyone confirm this link and suggest which of William Warner’s methods were adopted here? 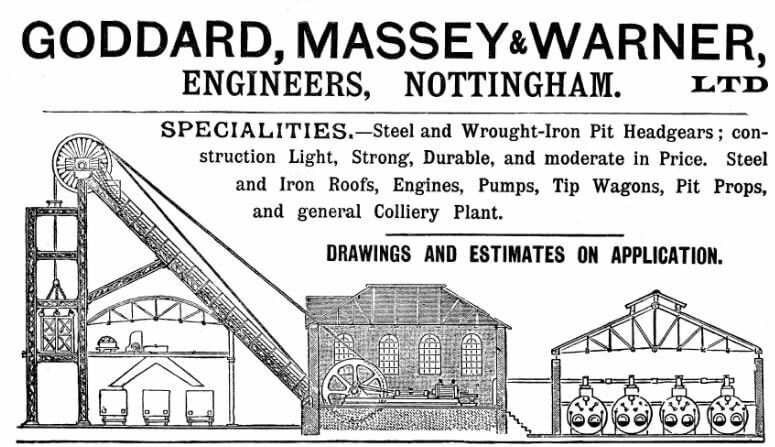 “The firm of Goddard and Massey started with Henry Goddard and appears to have had its origins in Nottingham between c1844-48. In 1848 Henry Goddard is listed as an ironmonger and stove grate manufacturer with premises in Clumber Street – Clinton Street, but he does not appear in earlier directories. Goddard was awarded a Prize Medal, Class 22, at the 1851 Crystal Palace Exhibition for his Patent Economical Cooking Apparatus. By 1855 Henry Goddard is recorded as being a stove, grate and kitchen range maker of Castle Gate. Henry died c1862, and control of the firm, now based at Alfred Foundry, Alfred Street North, passed to his son Frederick. By 1874 Edward Massey had become a partner, and the firm of Goddard and Massey then moved to Traffic Street. Around this time the firm widened its operations from primarily foundry work and cooking equipment to general engineering on a large scale. 1888 William Warner joined the company and it became Goddard, Massey and Warner. Warner invented and held some thirty patents for machinery etc, mostly dealing with the disposal of sewage and town refuse, and it was claimed that his methods were adopted by municipal bodies including Dublin, York, Newcastle-on-Tyne, Plymouth, Belfast, Sydney, N.S.W., Madras, Durban and East London, Hong Kong and Shanghai. 1898 The company was registered on 21 September, to take over the business of engineers of the firm of the same name.